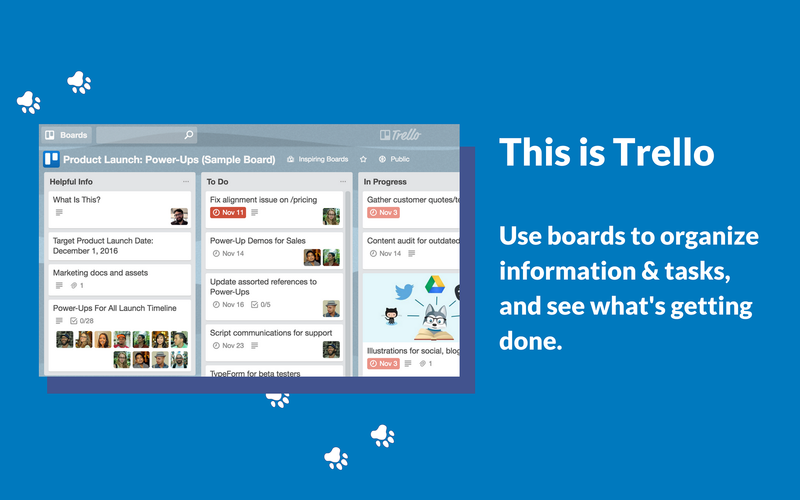 • Join Trello cards (and boards! ), change due dates, attach conversations and a lot more. 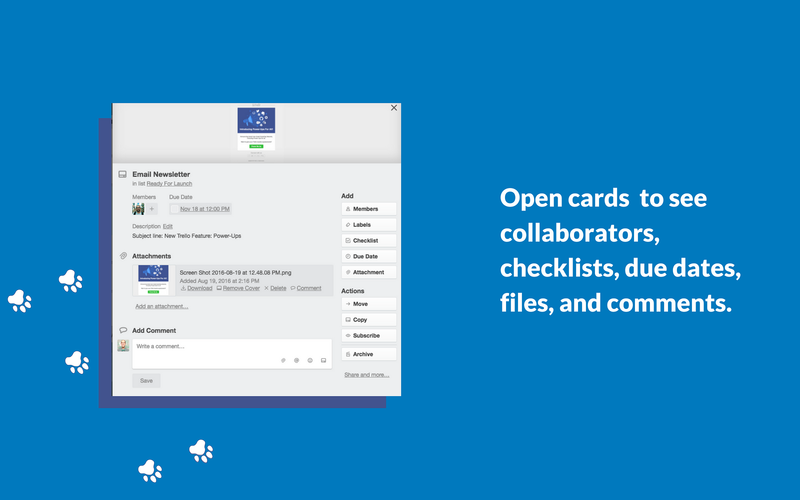 • Invite @trello to a channel for automated card & board previews including members, descriptions, comments and more. 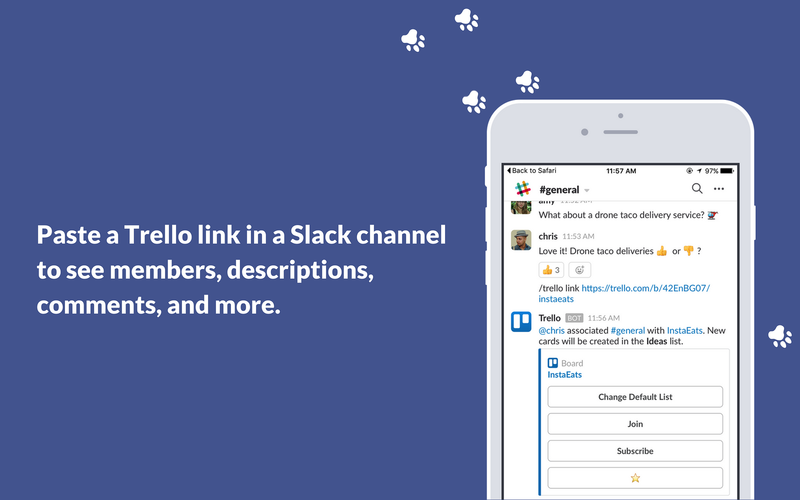 Trello will be able to confirm your Slack identity on your workspace. Trello will be able to access information about your workspace, including name, email domain, and icon. Trello will be able to access basic information about your public channels (including names, topics, purposes, creation date, and latest message). Trello will be able to access the names and images of custom emoji on your workspace. Trello will be able to access basic information about your private channels (including names, topics, purposes, creation date, and latest message). Trello will be able to access basic information about your group messages (including names, topics, purposes, and creation date). 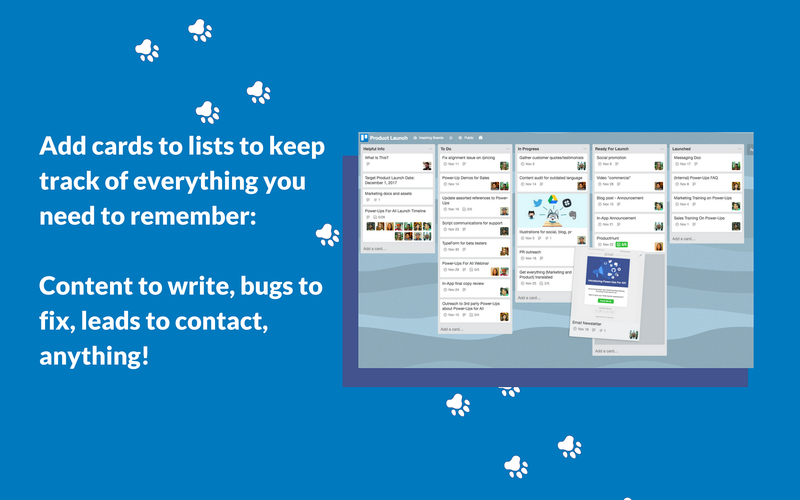 Trello will be able to access your reminders and reminders you created for other workspace members. Trello will be able to access your starred items, along with associated messages and files (including contents and information such as who uploaded the file, when it was uploaded, and sharing history), and who starred them. 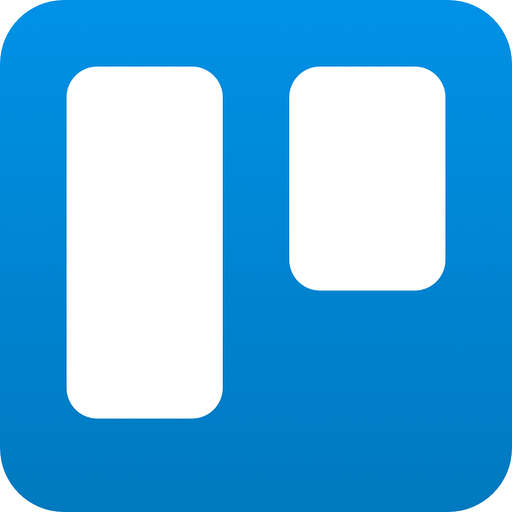 Trello will be able to send messages to your workspace. Trello will be able to modify the unread status of your direct messages. Trello will be able to add reminders and remove or complete reminders available to you for individual workspace members. 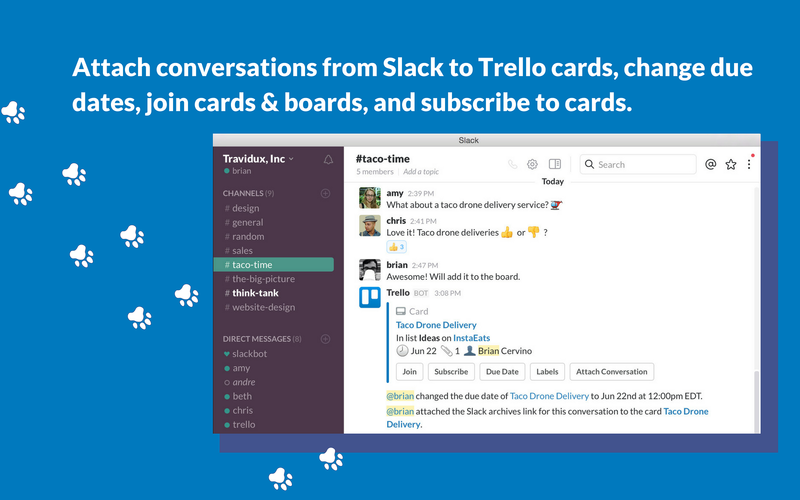 Trello will be able to view the email addresses of your Slack workspace’s members. Trello will be able to install a bot user that appears in and has access to your workspace’s directory. It can also post messages and view activity on messages in any channel it is invited to. Trello will be able to access profile information for all users on your workspace, including names and contact information. 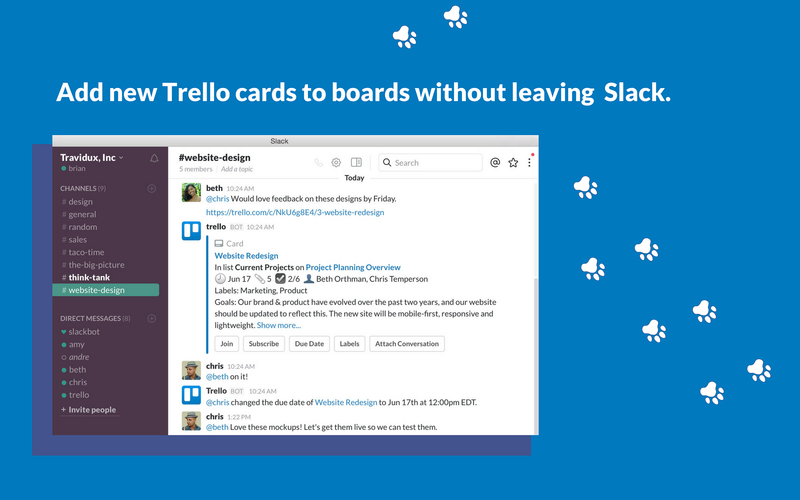 Trello will be able to access any messages and activity you can see in public channels. Trello will be able to access any messages and activity you can see in private channels. Trello will be able to access any messages and activity you can see in direct messages. Trello will be able to access any message history and activity you can see in group messages. Trello will be able to search all messages and files that you can see on your workspace. Trello will be able to send messages on your behalf to your workspace.